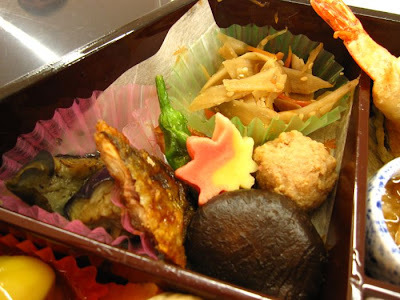 Rouge Deluxe: Osaka/Kyoto Trip Photos Part 3 - Food! Osaka/Kyoto Trip Photos Part 3 - Food! 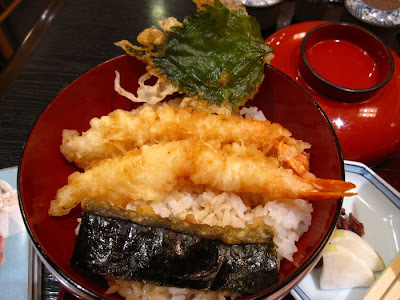 Here are some food photos from my Osaka/Kyoto trip! 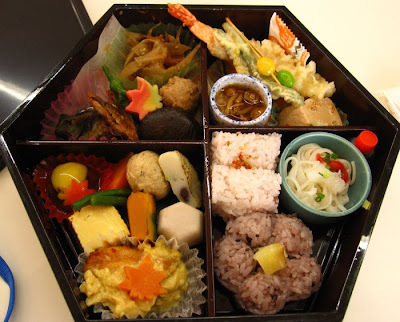 These bento sets always look so exquisitely made but the reality is that this one looked much better than it tasted as it was cold. 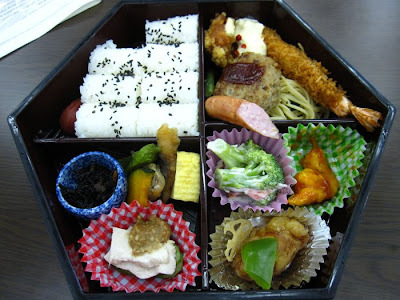 It had the usual mix of tempura, noodles, fishcake, egg, rice rolls etc. 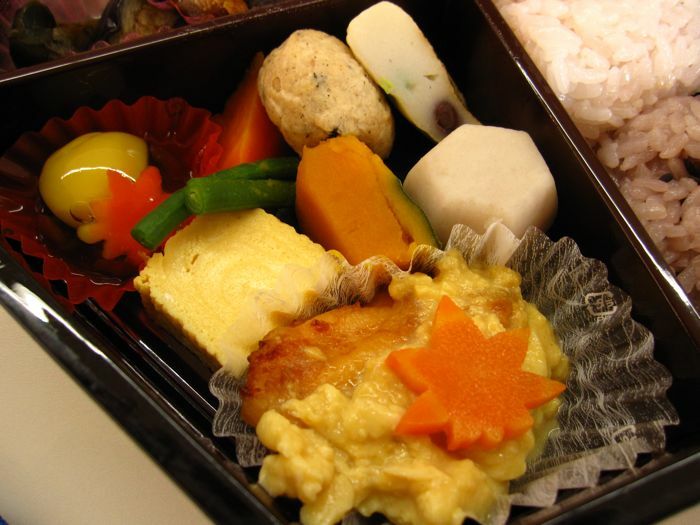 Another pretty but equally bland bento. When travelling in Japan, I always opt to eat at more affordable joints because the quality of food is actually very good even at the lower priced restaurants. 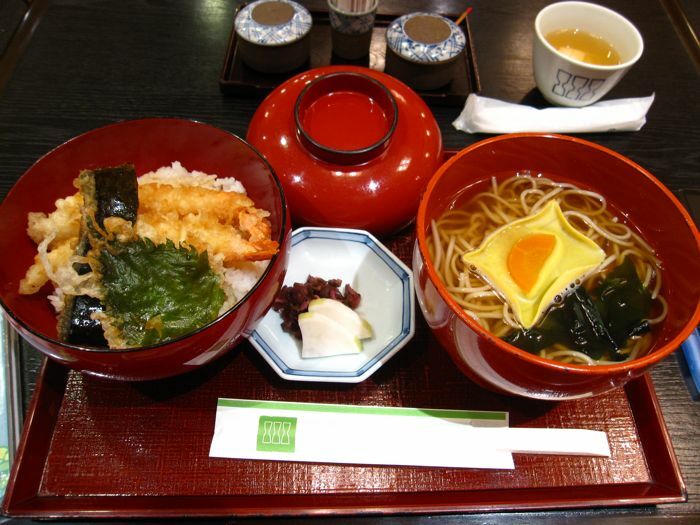 For example, this simple and yummy tempura and soba set was around US$15. 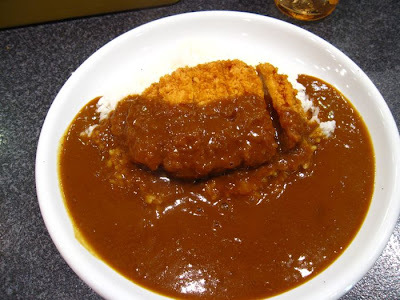 Katsu curry, another of my favourite cheap eats. 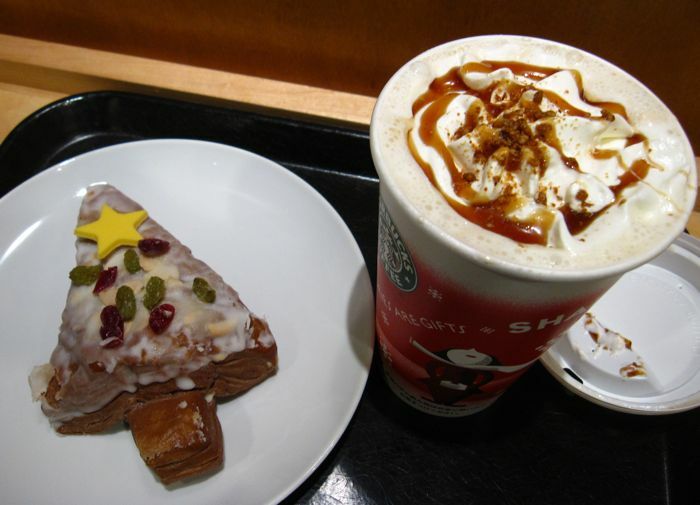 At the Starbucks, I tried their festive offerings like this Caramel Eclair Latte and Christmas tree danish. 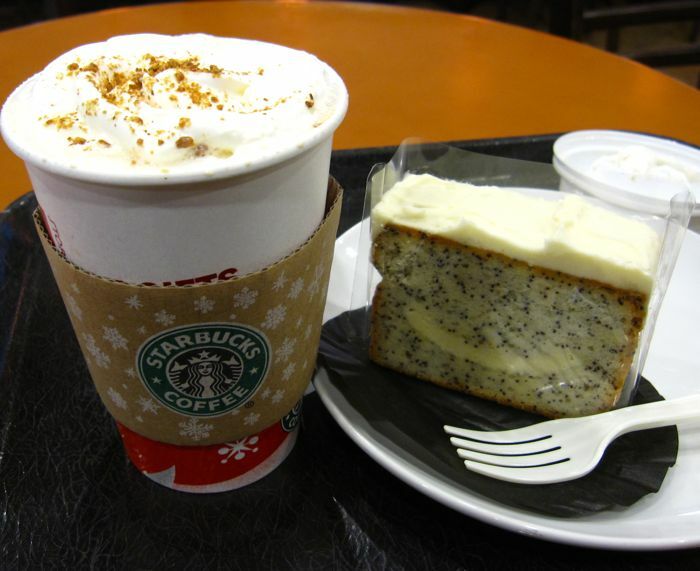 The danish wasn't as good as the poppy seed and cream cheese muffin though! 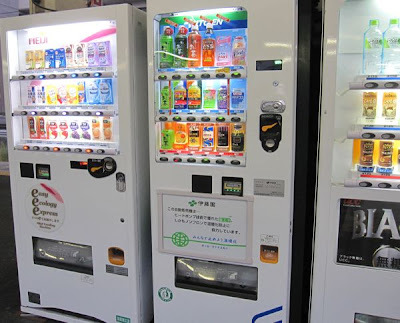 Aside from the ubiquitous convenience stores, another thing I miss about living in Japan are the vending machines which often become a part of one's daily routine. 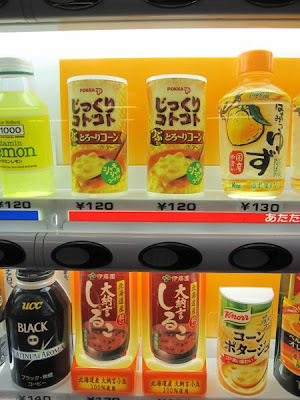 This one even sold corn potage soup! 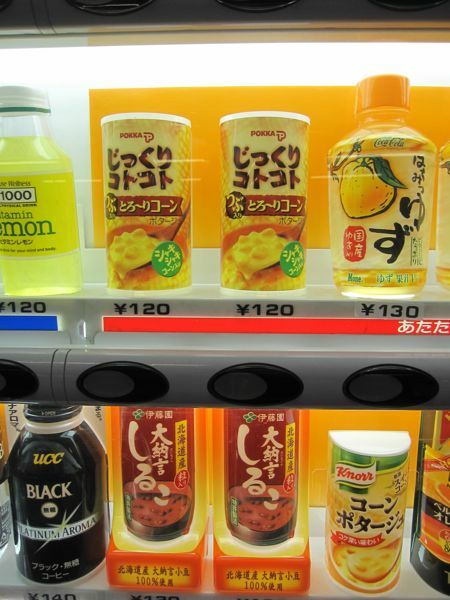 There was a hot food vending machine in my hotel that dispensed french fries, among other things, but I didn't manage to get a picture of it. Kare rice is such a comfort food which i especially crave for during this time of the year when it's so cold and in a holiday mood. I'm so also craving those bento fast food chains across japan. 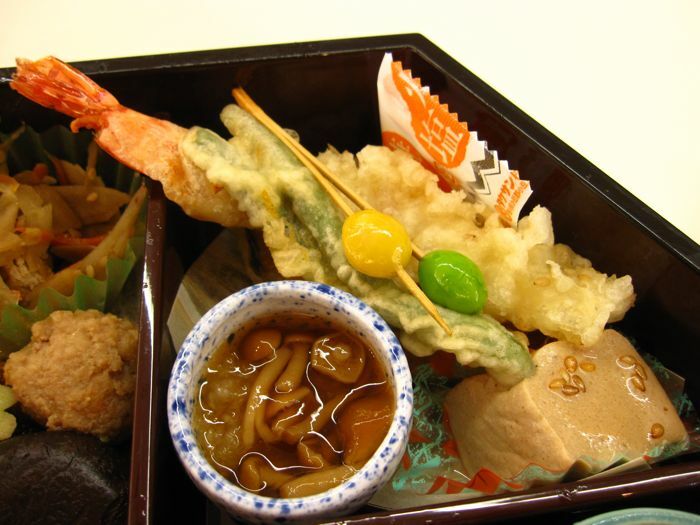 Wish Singapore can have some of these here too other than Yoshinoya which i hate. Seeing all your photos really make me miss Japan, dying to get back! Any recommendations for good Japanese curry in Tokyo or Kyoto? Do you have any fav eating places in either city? I'm afraid not, I just worked into a random curry shop at the train station. It was one of those super cheap places where you have to buy a ticket first from a machine and there is only counter seating. 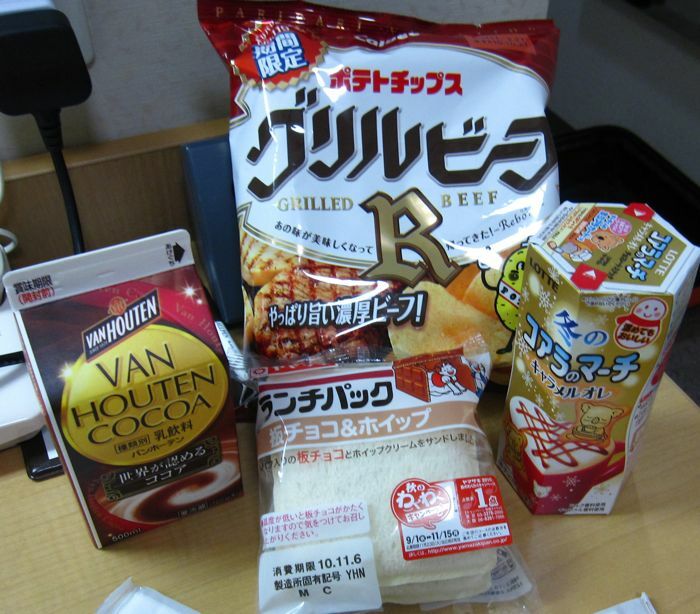 That's the Beef flavoured Calbee chips and the Hot Cocoa you were talking abt on that night itself right?! Hee! I always get my Japanese food and snacks fixes at those Isetan Japanese Food Fair in Singapore. 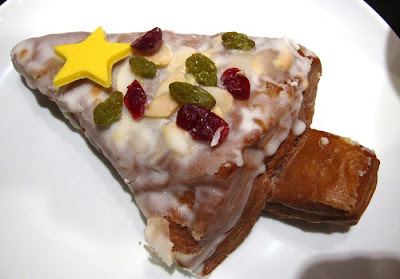 At least I know they are fresh. I've only tried a couple of the sandwiches, they are indeed simple and good!